Some water problems are easy to spot. Others easy to taste, and still others that can be very difficult to detect without professional testing. No matter what the problem, HOFMEISTER PLUMBING can correct it and provide you and your family with pure water ideal for every household use. Discolored water, typically referred to as brown water: A build-up of natural sediment and/or organic matter in the water mains, originating from the catchments. Another common cause is rusting in galvanized wrought iron pipes. Blue or blue/green water, may taste metallic, It is usually the result of corroding copper pipes. The problem is almost always found in cold-water taps. • A filmy haze on your drinking glasses. Acidic Water: Water with a low pH factor (less than 6.5) can be highly acidic and corrosive. If you notice a blue-green stain on your laundry, sinks or drains the chances are your water needs to be treated. Acidic water also can leach unhealthy levels of metal ions such as lead, manganese, and copper into your fresh water supply. No matter what’s wrong with your water supply, We have the right solution to help you enjoy cleaner and healthier water for drinking, cooking, and cleaning. We feature drinking water systems from GE. This in-home water treatment system, with a patented carbon-block filter and UV light, reduces potential health-effect contaminants and destroys microorganisms. 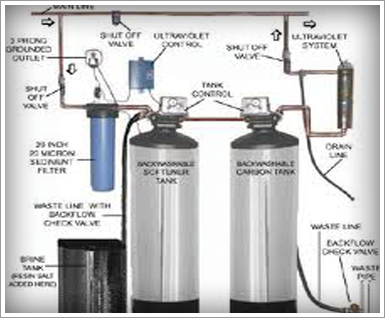 Our water filtration systems actually exceed government standards. 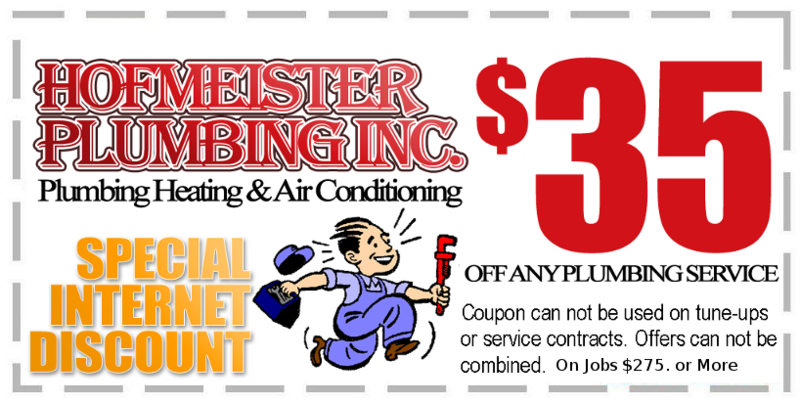 Quite simply HOFMEISTER PLUMBING delivers “chemical free water” and there is no better tasting water than that.